Two children of former police chief Anadolu Atayun, who has already been under arrest for some 3 years, was detained over their alleged use of ByLock mobile app on Friday. A Konya prosecutor has issued detention warrants for 38 people including Atayun’s children, 17-year-old Y.A. and 15-year-old H.A. The suspects are accused of using ByLock, which Turkish authorities claim a primary communication tool among sympathizers of the Gulen movement. Turkish government along with President Recep Tayyip Erdoğan accuses the movement of masterminding the July 15, 2016 coup attempt while the latter denies involvement. Media said H.A. was released after interrogation at a Konya police station while Y.A. was still under custody at the time of this writing on Friday. 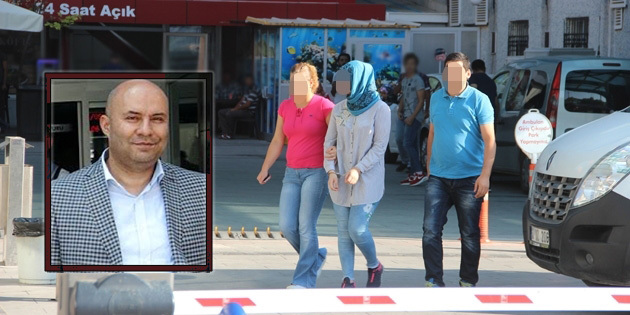 Former head of the Konya police’s anti-smuggling and organized crime bureau, Anadolu Atayun was put in pre-trial arrest over links to the movement in May, 2015. Earlier, Turkey also detained Fatma Yılmazer, a lawyer and the daughter of jailed police intelligence chief Ali Fuat Yılmazer.